KYOTO, JAPAN - CIRCA MAY, 2017: Tourists and locals on the street Hanami in the historic quarter of the geisha Gion in Kyoto. There are many restaurants of Japanese, Chinese and Italian cuisine. KYOTO, JAPAN - CIRCA MAY, 2017: Road, shops and restaurants in the famous Gion quarter in Kyoto. 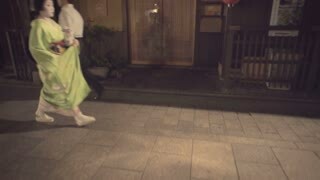 Gion is the most famous geisha living and working area. KYOTO, JAPAN - CIRCA MAY, 2017: People on the bridge in the famous Gion quarter in Kyoto. 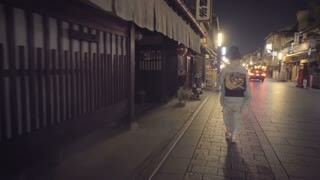 Gion is the most famous geisha living and working area. 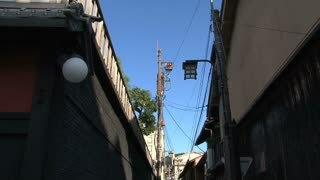 KYOTO, JAPAN - CIRCA MAY, 2017: The old narrow street in the evening in the Gion area. 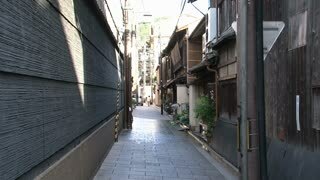 Gion quarter is the most famous district of geisha living and working. KYOTO, JAPAN - CIRCA MAY, 2017: Tourists on the street Hanami in the historic quarter of the geisha Gion. There are many restaurants of Japanese, Chinese and Italian cuisine. KYOTO, JAPAN - CIRCA MAY, 2017: Very popular geisha quarter of Gion in the historical part of Kyoto. There are many restaurants of Japanese, Chinese and Italian cuisine.